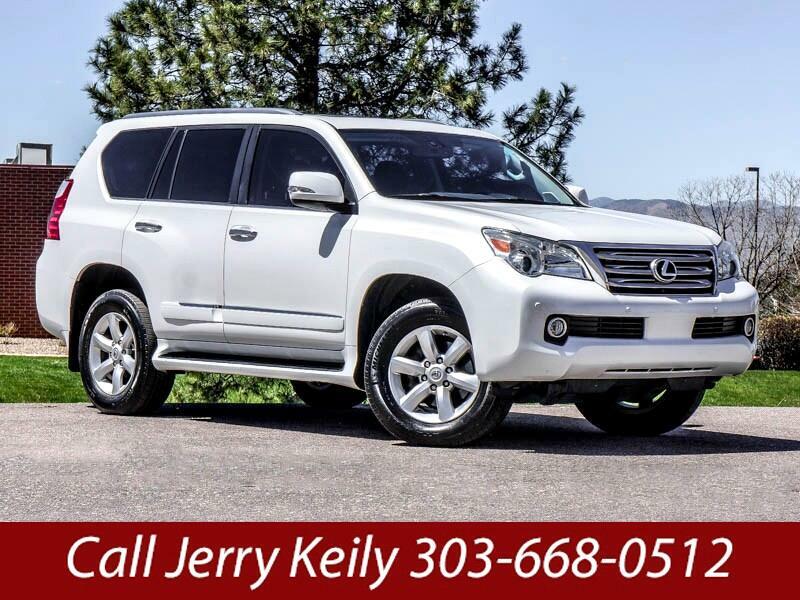 Used 2012 Lexus GX 460 Sport Utility for Sale in Littleton CO 80120 JFR & Associates, Inc. It isn't easy for an SUV to pull off being well mannered and tough, but this Lexus GX 460 does it with style. This GX 460 pampers its occupants on payment, and it's very capable off-road. Don't let the interior cabin fool you. Underneath the polished wood trim, high-grade leather is an off-road, ready to go and conquer machine. The reason for this is because this Lexus GX 460 has proved its worth off-road and on the road. You'll appreciate the smooth ride quality and proper handling. This Lexus GX 460 comes with a wide array of options like a sunroof, rain sensing wipers, third row seat, Satellite Radio, running boards, CD changer, a backup camera, Bluetooth integration, heated front seats, deep tinted glass, heated exterior mirror, plus lots more to make your driving experience more enjoyable. You are cordially invited to take this upscale Lexus GX 460 for a test drive and discover for yourself why this SUV is so popular. Contact us today and schedule your test drive.